Not just barmen or cocktail barmen but expert mixologists for hire throughout greater Glasgow and Renfrewshire. From Zanzibar to Curacao and everywhere in between. 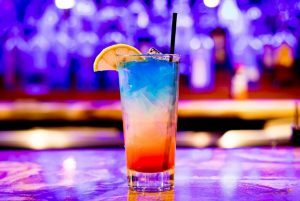 We are experts in all of your standard western cocktail favorites as well as specialty Caribbean and African drinks. We have 3 mixologists available individually or jointly to cover small private nights up to large functions with up to 500 hundred people. We can provide mixologists only, mixologists and drink supplies (assuming there is a bar usable at the venue) and we also have portable bars suitable for both indoor and outdoor venues. If waiting staff are required this can also be arranged. Please enquire about availability and pricing.